Whether you are having a beach party, a pool party, or a tropical luau you have come to the right place. The plastic lobster is a great decoration for your luau or tropical island party. The plastic lobster works great as a decoration if you hang them inside of a fish net. Not only do they work great as decorations the look real too. 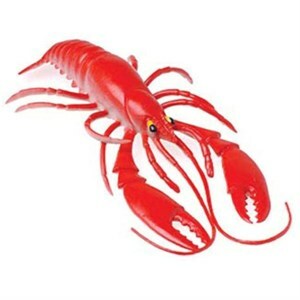 This plastic lobsters are life size at 11 1/2" long and 5" wide. 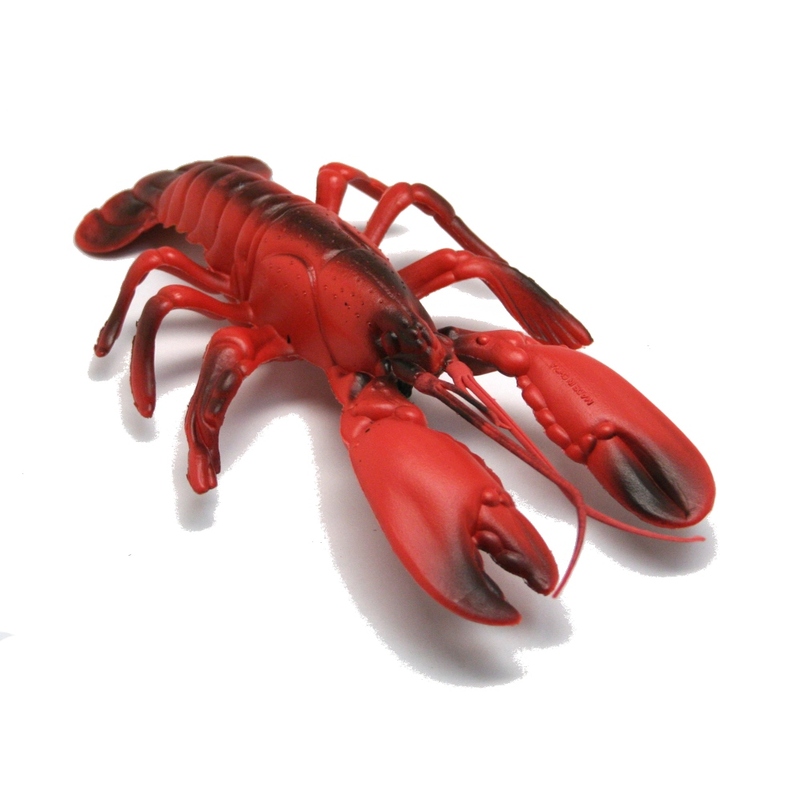 The plastic lobster is a great way to decorate and will make your luau look authentic.. So here was our problem: 5 friends and family cycling in a sea of 30,000 other cyclists. The Five-Boro Bike Tour in NYC on May 4. Somehow we had to stay together in the huge crowd, cycling 40 miles. The answer was obvious: we each needed a red plastic lobster on top of our helmets. Right? Plus, fashion statement. Intensive research showed that the inflatable versions were too big. The solid plastic ones were too small. These guys were just right... exactly life size. One long zip-tie through the helmet vents and they're good to go. And the price was right! The shipping was very fast, everything came through perfectly. This will definitely be my go-to site the next time I need plastic replica lobsters. Which could actually happen. There's actually some really nice detail on these things. Not too heavy, either! Perfect for our display purposes. 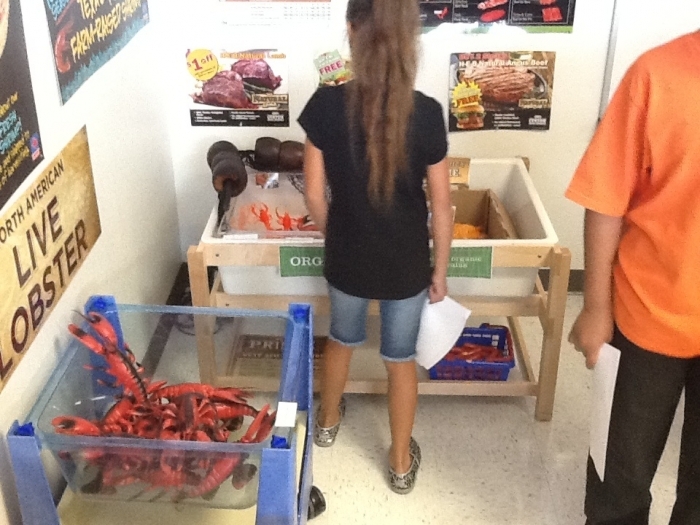 We wanted to create a seaside display and the lobsters and crabs were perfect for our vision! Very nice looking, super good price, will work very nice for displaying in my lobster cage! The lobsters were a big hit in our centerpieces for our Lobster Dinner Affair! I will definitely look for Party Supply help with decorations in the future. I ordered the plastic lobsters for an authentic lobster trap that I'm using as part of my nautical theme basement family room. They were perfect for what I used them for and well worth the price. I also bought a few of the plastic crabs and they too were a great complement to my d�cor. I am very happy with the appearance and quality of the items and definitely would purchase them again.